Failure assessment is an analysis of a structure that has been failed in service. FEM analysis is often used as a preprocessing phase in assessment. Fracture mechanics approach is required in many failure analysis cases. In addition to assessment we do failure inspections on site and suggest corrective actions and can also inspect the repair to prevent further problems. 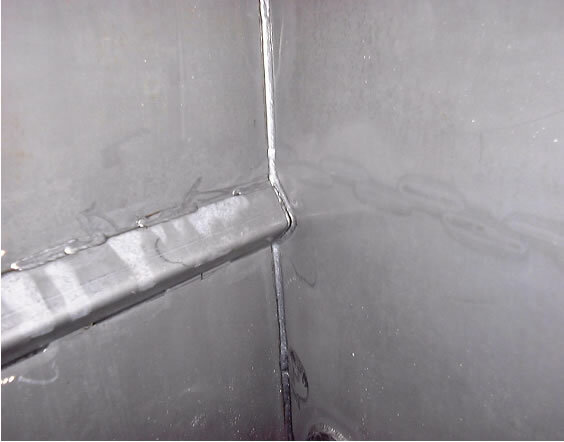 Failure of a container (stiffener weld fractures, excessive deformations in baffle walls, fractures in shell). Inspection, preliminary corrections (first aid), detailed analysis, correction plan and repair inspection carried out by Stressfield.